​The creation of a tobacco-free environment during the 2018 FIFA World Cup™ and other major sporting events to be held in Russia was discussed in a conference held in Moscow on Tuesday 28 June. The event was organised by FIFA and the Russia 2018 Local Organising Committee (LOC) in partnership with the World Health Organisation (WHO). Major conference attendees included representatives of the Russia 2018 Host Cities responsible for developing sport, healthcare and setting up fan zones during the upcoming tournament. At the conference, attendees learned about measures to fight smoking and reduce tobacco consumption employed in Russia and familiarised themselves with mechanisms used to implement the measures, as well as the legal framework in this area. In addition, experts shared their experience of creating a tobacco-free environment in host cities, discussed achievements and challenges and found out about international best practices. “Smoking is the only entirely preventable cause of death in the world, with someone dying because of diseases caused by smoking every six seconds”, said Natalia Toropova, Coordinator of the WHO’s Anti-Smoking Programme in Russia. “It is important that this effort is supported by major sporting organisations such as FIFA and the International Olympic Committee. Their experience shows that fans respond positively to such campaigns and are willing to give up smoking inside stadiums and fan zones. We are confident that the FIFA World Cup can serve as a driving force for healthy lifestyles in the area of sport and an example of how and why smoking should be fought”. And Russia 2018 will be no exception. 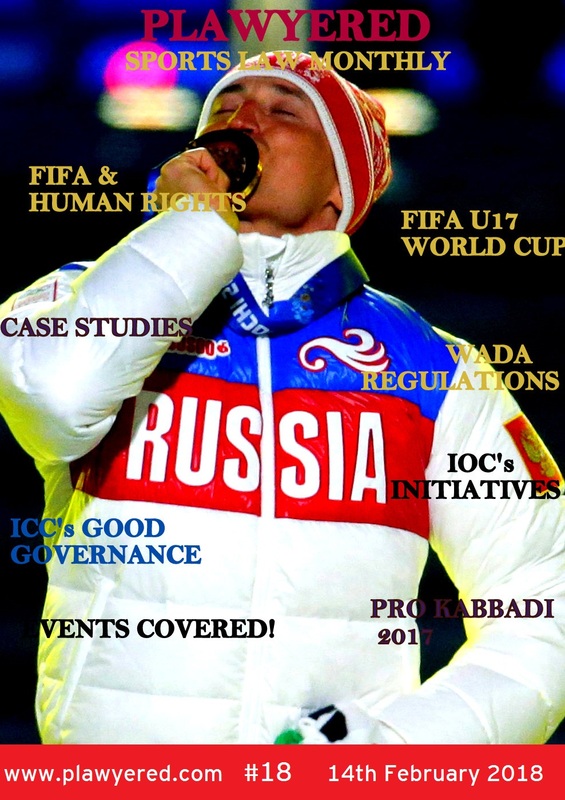 “All our actions in preparing for the tournament are taken in strict compliance with the Sustainability Strategy, whose main aim is to minimise the negative impact on the environment, the economy and society, while simultaneously increasing the positive effects of our work,” said Milana Verkhunova, Director of Sustainable Development at the Russia 2018 LOC. “One of the objectives in this area is to create a tobacco-free environment at all World Cup stadiums and FIFA Fan Fests. Successfully implementing this strategy requires active cooperation with host cities, whereby we draw their attention to all requirements concerning smoking. The involvement of renowned organisations such as the WHO and experience-sharing with European cities and organisers of other major events will help to make this conversation more productive”, she added. Special guests at the event included Ron Gould, Liverpool Councillor and the city’s former Lord Mayor, and Matthew Philpott, Director of the European Healthy Stadia Network (EHSN), an organisation that aims to make sporting stadia a platform for promoting healthy lifestyles. The EHSN works to develop policies and procedures that help to protect and improve the health of stadium staff, fans and local communities. “Since the FIFA World Cup in Korea/Japan in 2002, FIFA has made its flagship competition tobacco-free to ensure the health of spectators. Today’s workshop that we organised together with WHO and the LOC allowed us to raise awareness on the issue and find common ground with all our key stakeholders in the Host Cities,” said Paula Gabriela Freitas, FIFA Sustainability Programme Manager.